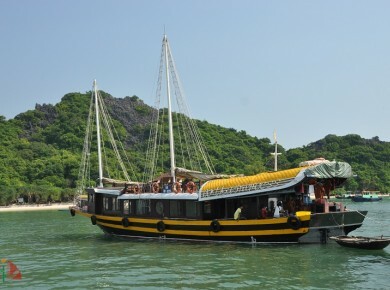 Our junk will take you to Halong Bay. 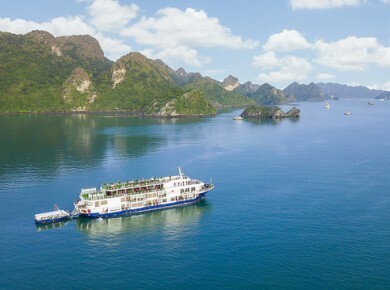 Its comfort and experienced crew will ensure you an unforgettable cruise. 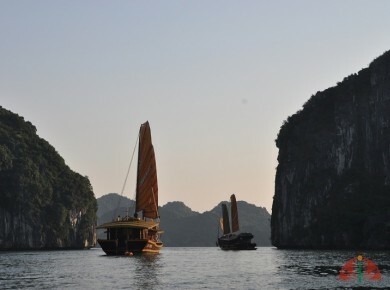 Discover the distant islands and wild bays of Lan Ha, Bai Tu Long and Halong during a cruise on one of our junks. 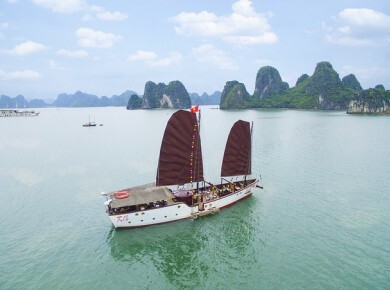 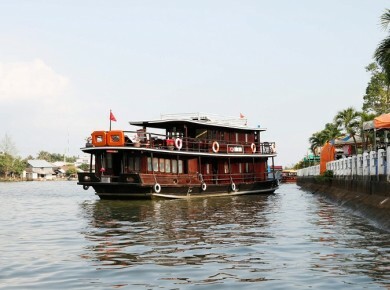 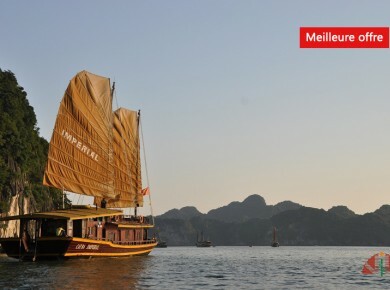 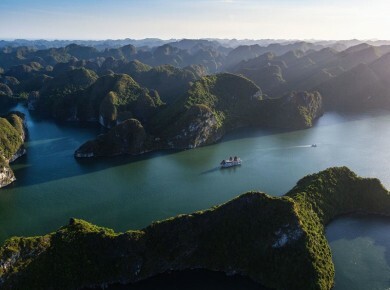 Aboard a junk of 5 cabins, discover the Halong bay.